When all is said and done regarding a specific country’s president, history and numbers will tell the true tale of just how successful or unsuccessful a country’s leader has been. While great strides have been made in South Africa regarding service delivery to the poor, access to water, housing, health, electricity etc. the country’s economy has not been an area where great strides have been made in the last two decades. South Africa’s exchange rate has been taking a beating for years on end now, the GDP per capita has hit a ceiling and if the GDP per capita is adjusted to express it in US dollars, South Africa is moving backwards faster than the Gautrain is moving forward. Read also: Maynard: Just Zuma or ANC policies bad for SA economy? Presidents compared. The line graph below shows the quarterly economic growth rate over time, with different colours representing different presidents. As can be seen from the graph that for most presidents the economy dipped into negative territory at least once. Some of it being brought about by massive global economic events such as the Dotcom bubble bursting and the subprime mortgage crisis that lead to the financial crises which affected the whole world in 2008 to 2010. However under president Jacob Zuma’s watch, the economy has dipped into negative territory three times already. Not exactly a sign of a healthy and strong and growing economy. The graphic below shows South Africa’s GDP per capita per year. GDP per capita is the size of South Africa’s economy divided by the number of people living in South Africa. So essentially what is the South African economy worth per person in South Africa. From the graphic above it is clear that under Thabo Mbeki’s presidency South Africa enjoyed a massive surge in it’s GDP per capita. However, since the financial crisis South Africa has struggled to regain the momentum experienced under Thabo Mbeki, and under president Zuma’s leadership South Africans have seen virtually no growth in GDP per capita, in fact the GDP per capita has been declining under Zuma’s leadership. No other president since democracy can say the same. Part of the reason for the decline in South Africa’s GDP per capita in recent years is the fact that economic growth has been a case of ‘low to no growth’, while South Africa’s population has been increasing steadily. If economic growth does not surpass that of the population, the GDP per capita will decline. And all that means is that more people are sharing a pie that is not growing, and because of this, the size of the economy per person is declining. Essentially South Africans are less well off as the GDP per capita declines. 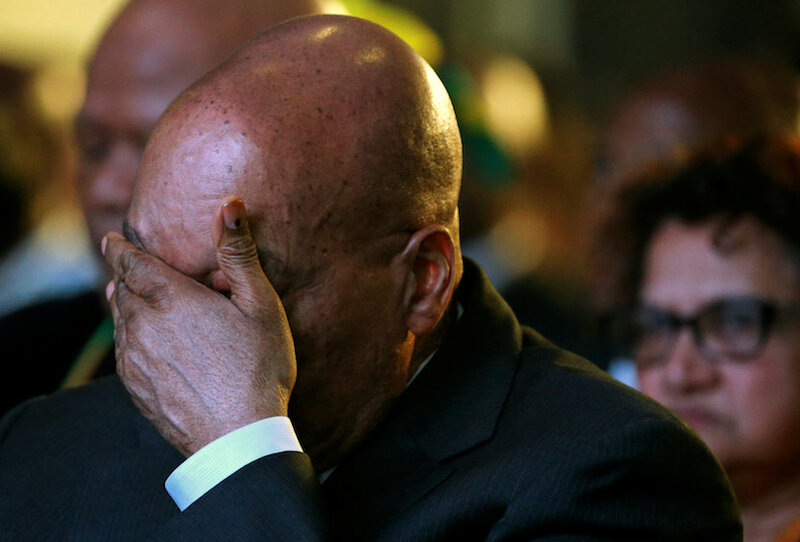 While the government will claim the exchange rate’s performance is due to a strong dollar, emerging market risk aversion, commodity price slump lowering demand for the South African currency, they cannot dispute the fact that since Jacob Zuma took over as president of South Africa, the currency has been slaughtered. And with political infighting, “invisible hands” and state capture, crony capitalism and general lack of good governance within government, the world is sending the ruling party in South Africa a very clear message with the current level the exchange rate is sitting at. Pull your socks up or you in for a whole world of pain. Exchange rate will hit levels never seen before. It will make “Nenegate” look like a picnic. Since government has to pay more money to service debt, there will be less money to provide services to it’s citizens. And this will lead to more protest actions and riots. And eventually voters will finally be fed up with the government of the day, and they might finally decide that a new ruling party is needed to run this country. So be careful those who are playing the factions game within the ANC. Because you might be cutting your nose to spite your face. The gain of a few citizens in a country will never outweigh the greater good for all the citizens in a country.